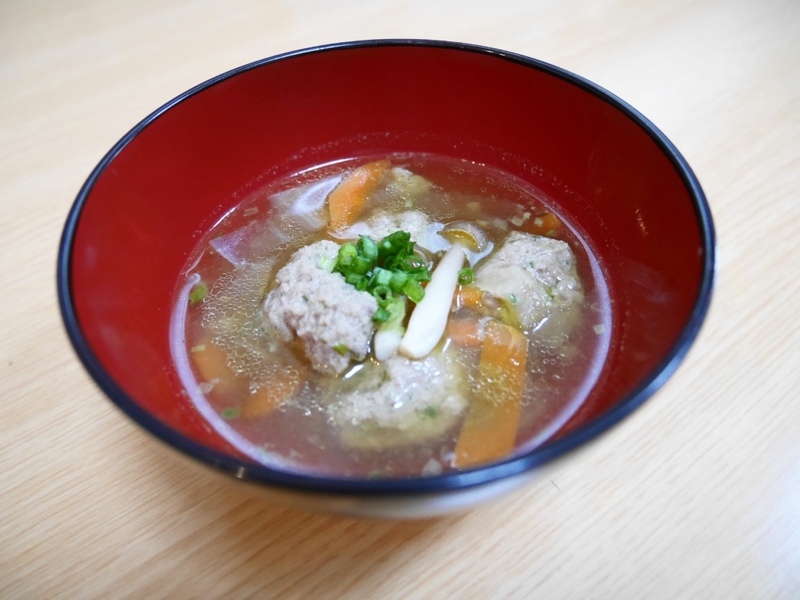 Check out my recipe of a soup with fluffy fish balls and plenty of vegetables. This soup is perfect on a chilly day!! 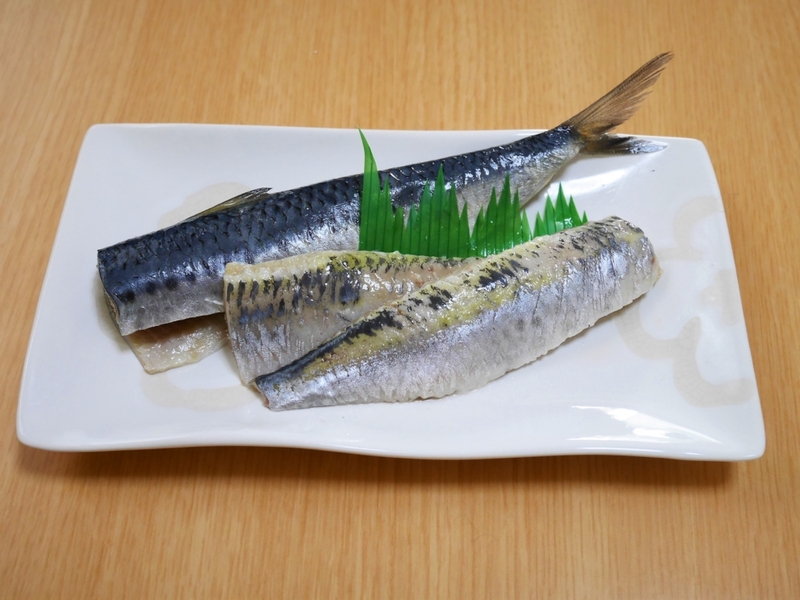 NOTE: Both DHA (docosahexaenoic acid) and EPA (eicosapentaenoic acid) are richly included in a sardine. DHA is good for function of the brain and EPA can improve the flow of blood. In addition, it also contains plenty of other good nutrition like calcium, vitamin and so on. 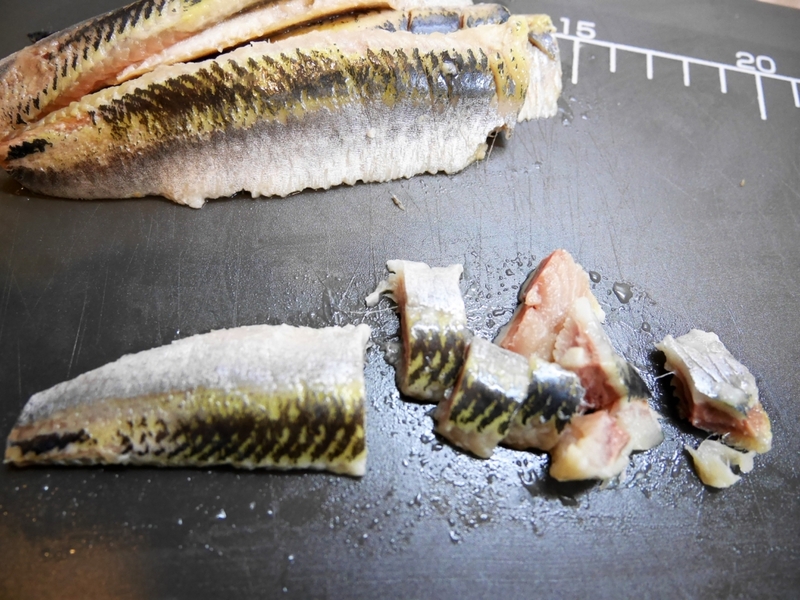 Cut the sardine fillets into small pieces with a knife. 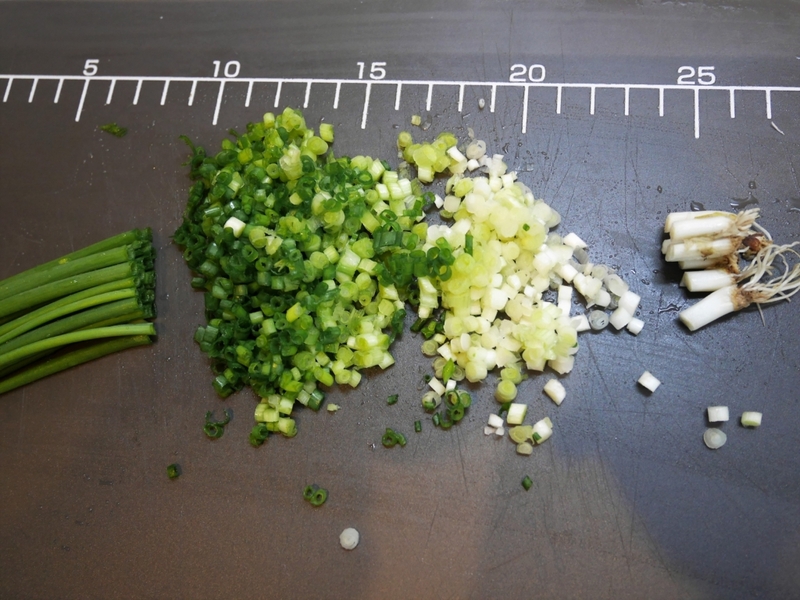 Chop the green onion finely. 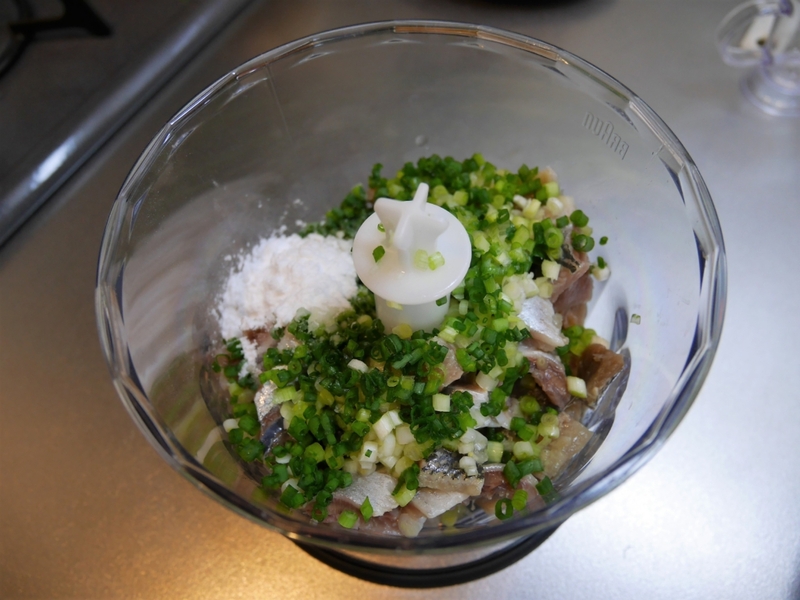 Put the sardine into a food processor and add grated ginger, 2/3 of chopped green onion, cooking sake, salt and potato starch. Mix them until it gets a little sticky. Cut the sardine fillets into small pieces. Put the ingredients into a food processor. 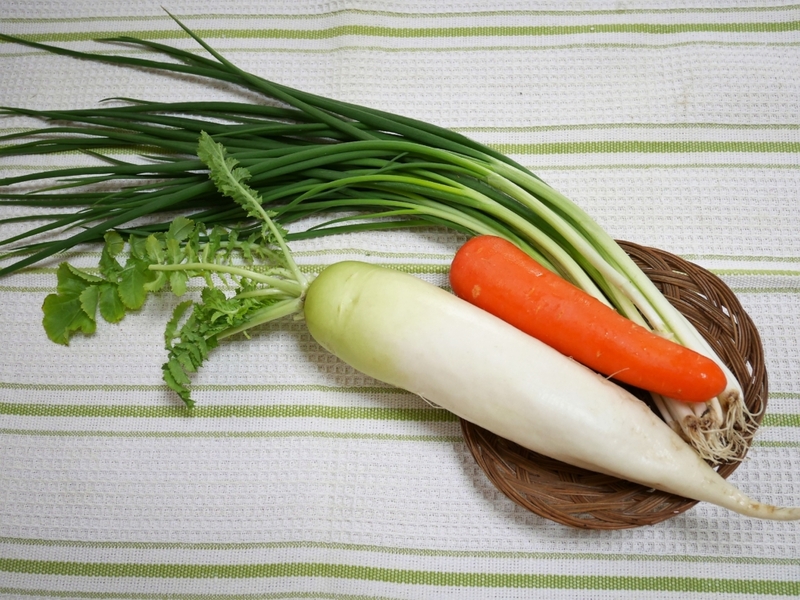 Cut the daikon radish and carrot into thin strips. 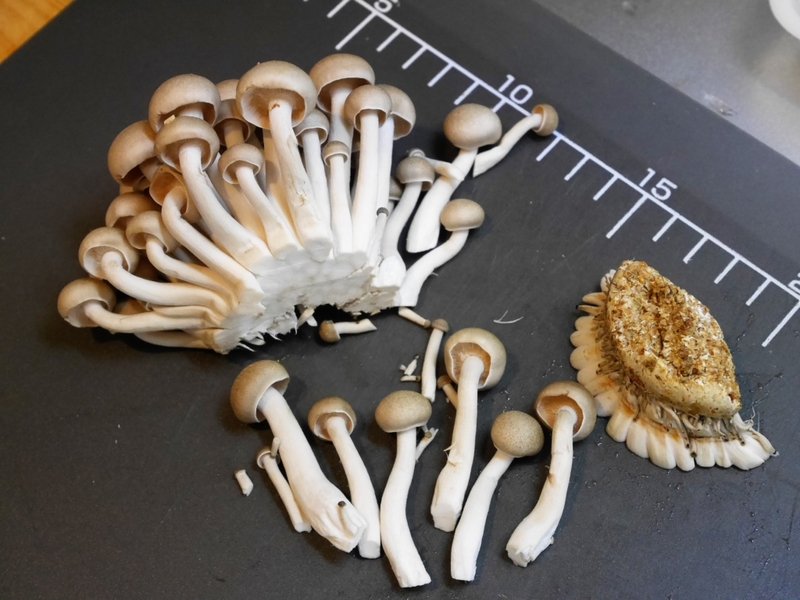 Remove a hard tip of shimeji mushroom and separate them into each piece. 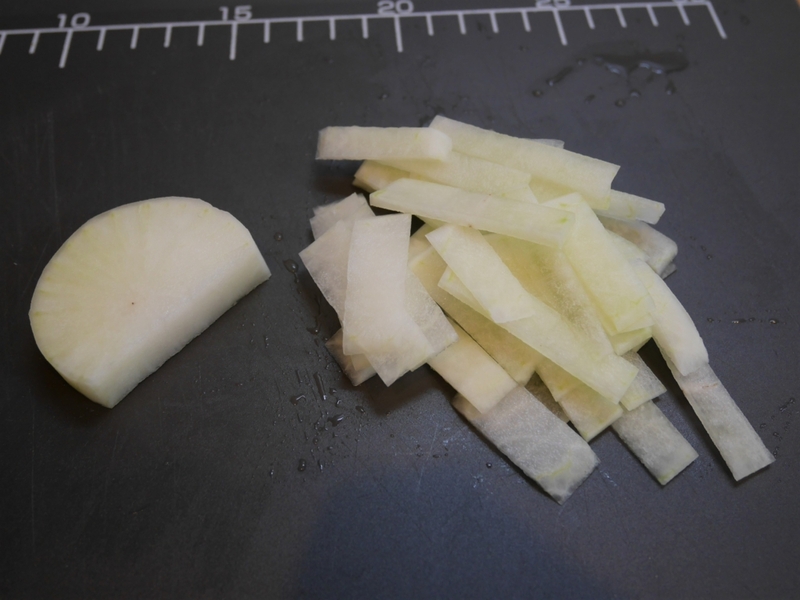 Cut the daikon radish into thin strips. 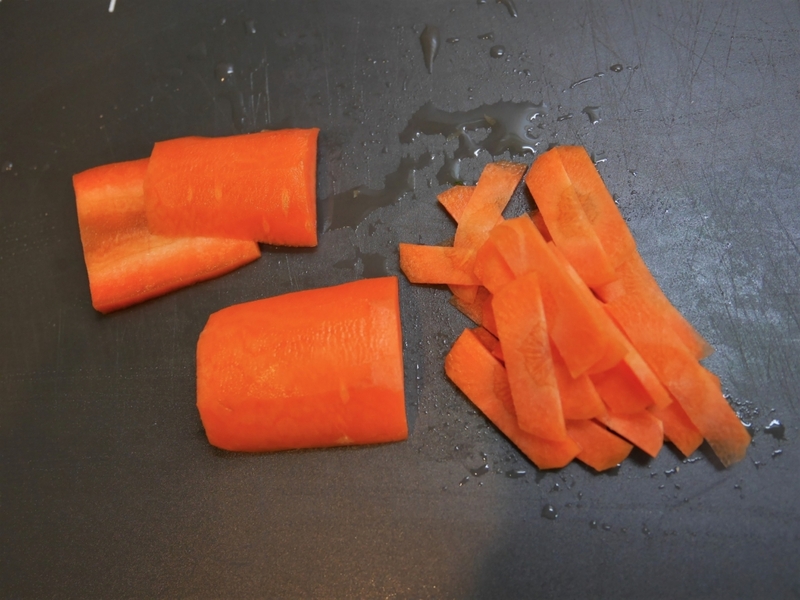 Cut the carrot into thin strips. 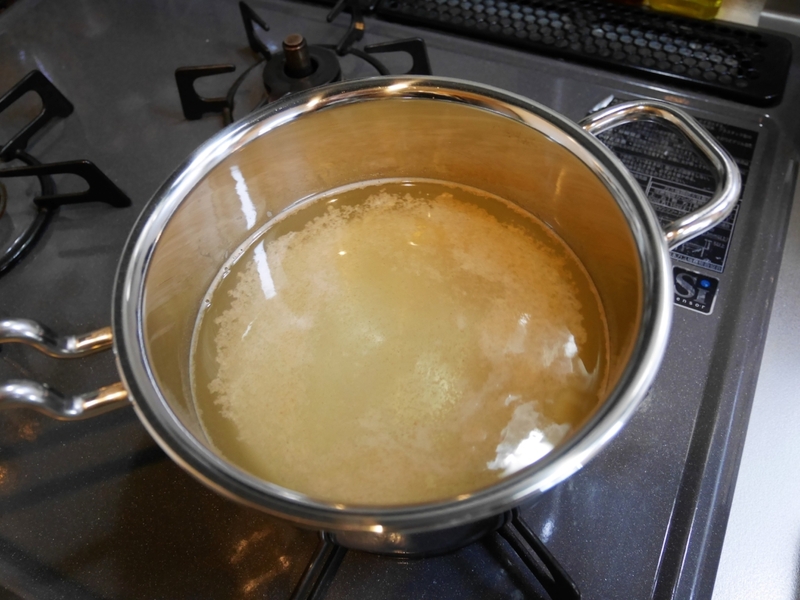 Put the water and instant broth granules into the pan and boil them. 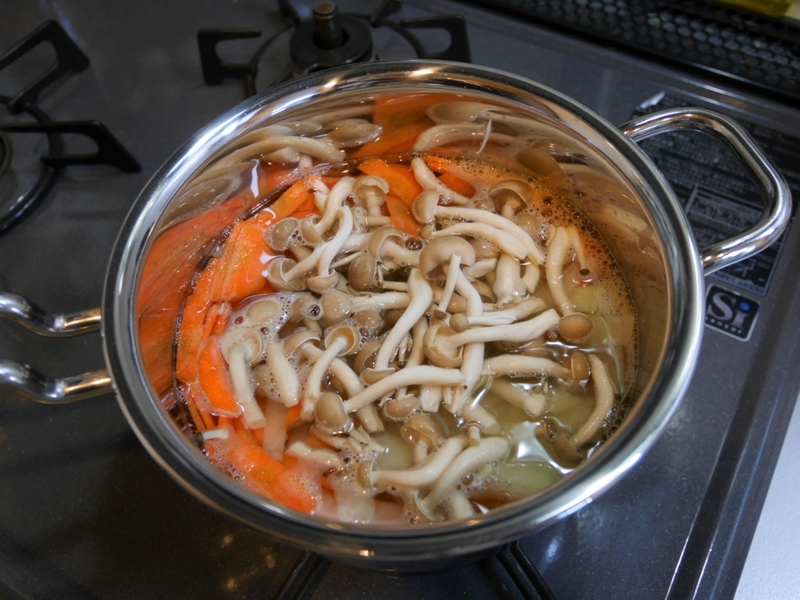 Add daikon radish, carrot and shimeji mushroom and heat them for a while. Put the water and instant broth granules into the pan. Boil the ingredients for a while. 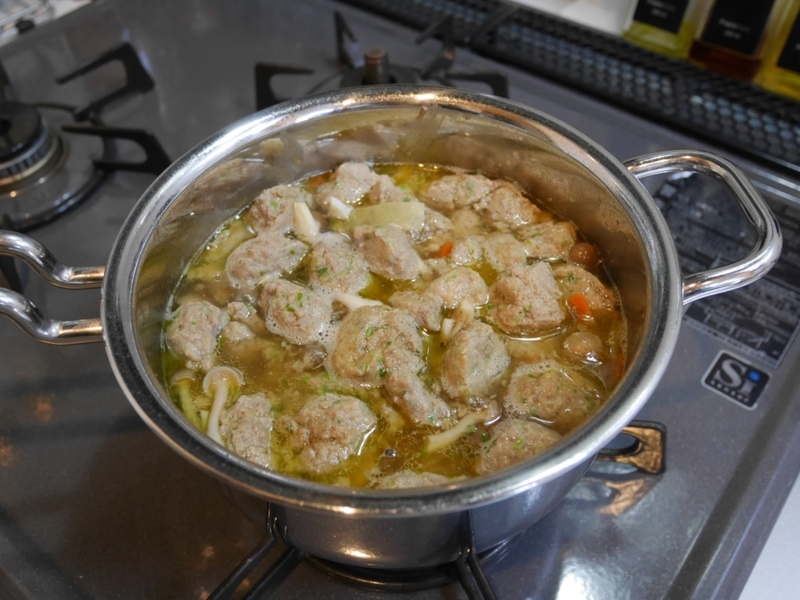 When the soup gets boiled, add the fish balls into the soup. 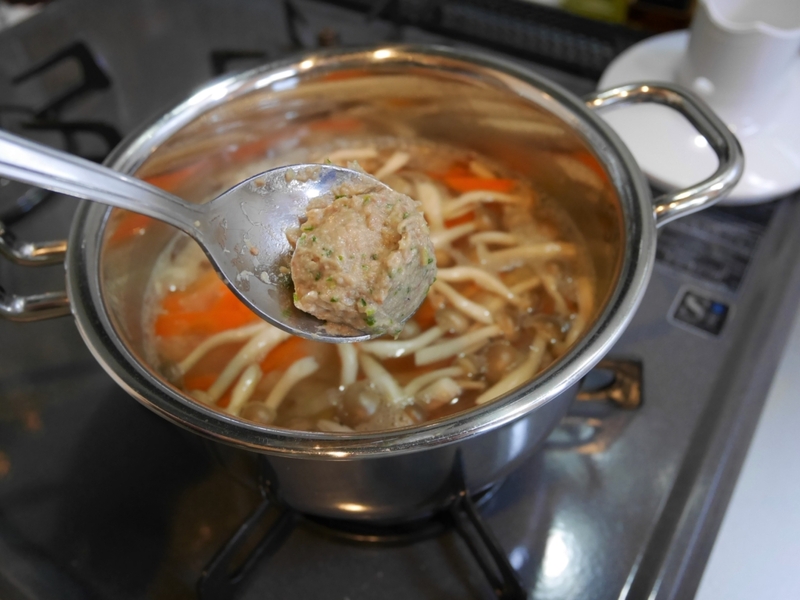 To make a fish ball, use a spoon and take some paste (bite-size is better), then make it into a ball shape. Boil them on the medium heat. Use a spoon and make it into a ball shape. When the fish balls are cooked, add the salt and soy sauce to taste. Serve it in the small bowl with the rest of green onion and it’s done!! Add the salt and soy sauce to taste. Serve it in the small bowl and it’s done!! 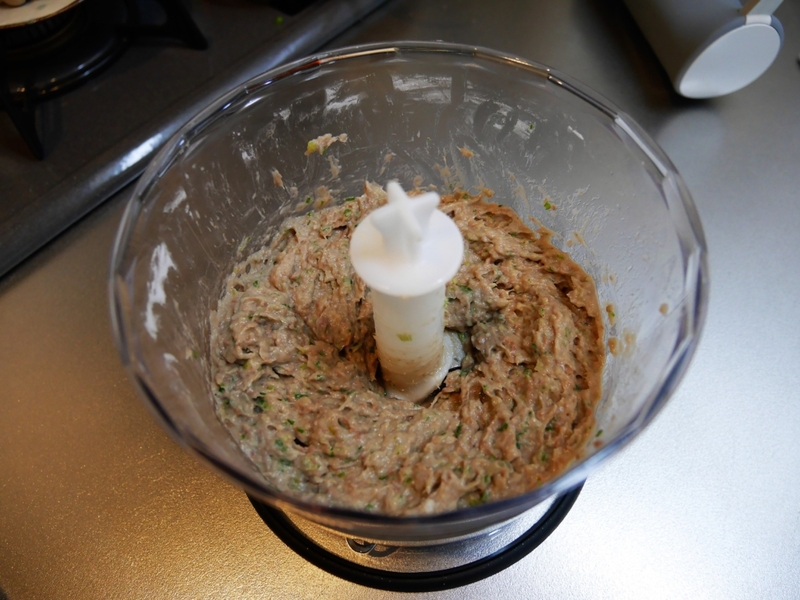 If you don’t have a food processor (or a mixer), cut the sardine into small pieces and crush them in a mortar. You can use green “shiso” leaf instead of green onion, when you make fish balls. It makes fish balls smell good. I recommend using the top part of daikon radish because the bottom part tastes sharp. Don’t touch the fish balls until its surface is cooked, or it’ll be easy to crush. From ancient time, evil “Oni” demons are the symbol that brings us sickness and mishap. 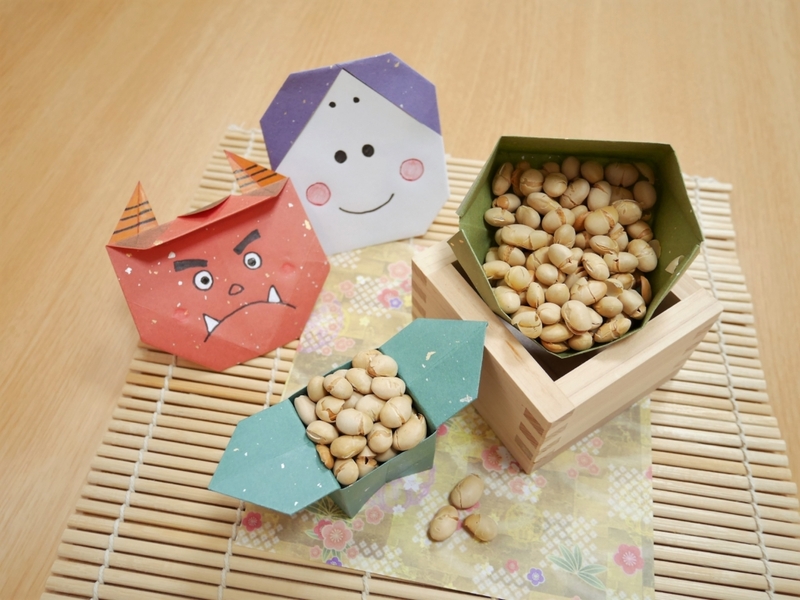 The event “Setsubun” is held in February with a wish of the health by throwing (scattering) parched beans against Oni. Using beans means that ancient people believed such mysterious power dwelled in grain and thought plague or disaster could be driven away to do so. The reason why parched beans are always used is that they want not to come into evil bud from raw beans. It is very important to use parched beans for Setsubun. 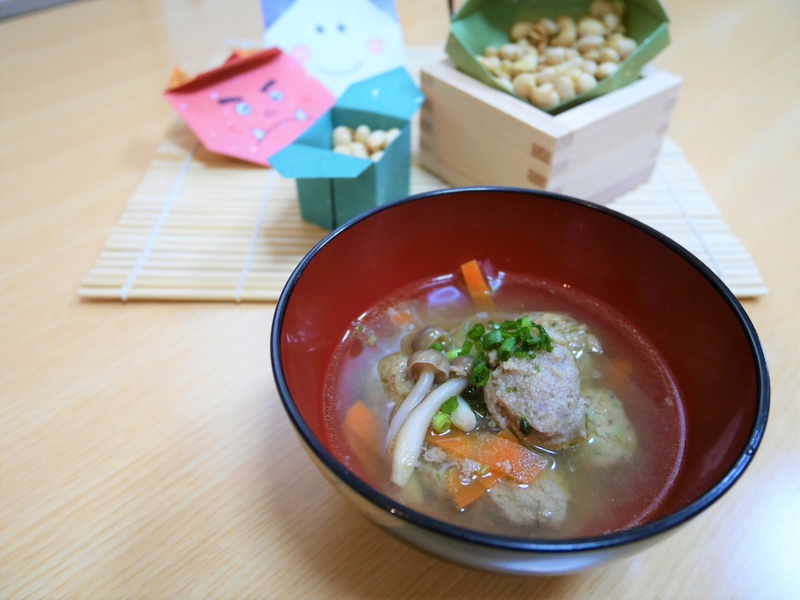 The parched beans are called “Fukumame” (Good fortune beans). 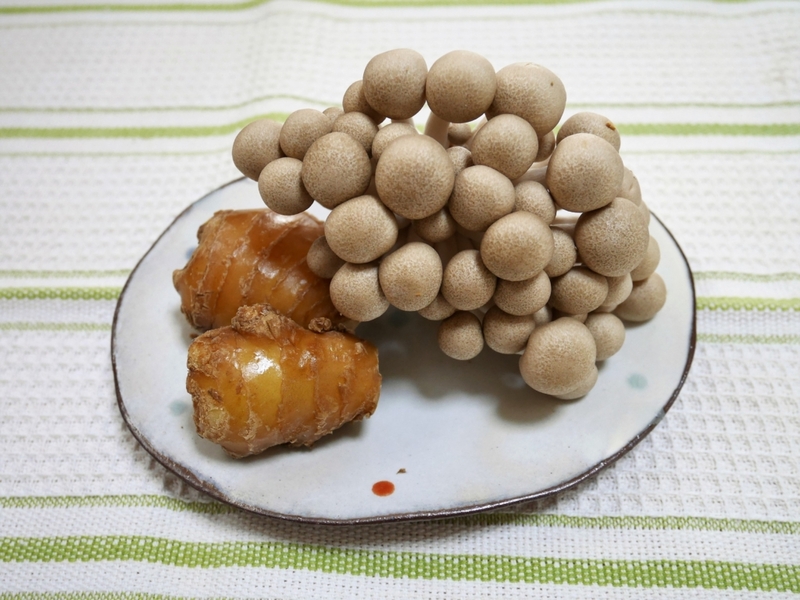 If you eat them after the event, it is believed that you can keep fit all the year. The leaves of holly trees and sardine used to be believed to protect you from evil. (Both prickle of the leaves and smells of sardine were very good amulet.) By hanging out them in front of the entrance door together, such evil could not enter your house. In the first place, Setsubun means “to divide seasons” and Japan has the four times of Setsubun. Recently the day before, between winter and spring (on the calendar), was only said Setsubun, which was the special day for the beginning of coming new year.